Pay for Faith's prexy fare! Hey, all, we just sent Faith Cheltenham to the White House where she met Mr. O! That's the good news. But it was a last-minute invite and thus a last-minute fare and hotel booking - that's the bad news. Help pay for these, future surveys and opinion polls, our mailbox, phone, websites, 20th anniversary events, conferences -- you get the idea. Click on the PayPal buttons you see on our blog or website or send a check to our p.o.box address. Thanks! Happy 20th Anniversary, BiNet USA! History was made June 23, 1990, in a classroom at Mission High School in the Castro District of San Francisco when activists agreed at the first U.S. National Conference on Bisexuality to formalize what already loosely existed in fact: a national network of bi groups and individuals. A "core group" was formed to continue the work of organizing and bringing some structure to the organic/grassroots movement. A much-debated "working name" was tentative given to the network -- the North American Multicultural Bisexual Network. The working group continued to keep in touch throughout the year by email and phone calls and met again the following spring in Seattle to hammer out details. It was at that gathering that it was agreed the network would remain just that: a network of groups and individuals and not a structured "organization" as such. Preliminary financial, membership and task force structures were put in place, and it was agreed there would be a group of six "rapid responders" who would react to biphobic media messages and biphobic societal issues, but that no one responder would speak "for" the network nor "on behalf of" "all" bisexual people, only as an individual, albeit as a bi-identified person. And again the name was debated. It was agreed that calling the network "North American" was presumptuous because there were no representatives from Canada (let alone Mexico and other areas that could be considered North America), and that for letterhead and media purposes a shorter name was needed, but it was also agreed that enough people felt strongly that the longer moniker must also be kept. Therefore, a compromise was tentatively reached: The full formal name of the network would be "The National Multicultural Bisexual Network of the Unites States of America" and the shorter nickname would be "BiNet USA" for the time being. A press release announcing the formal establishment of the network was sent to The Associated Press and media such as The Nation magazine, both of which declined to run it, explaining it was of too little interest, concern and consequence to too few people. As time went on, the name and structure were again revisited. Common usage brought a permanence to the shorter name. And although it was purposely founded in 1990 as a loose network of other groups and not as its own nonprofit organization, the network couldn't accept donations as tax-exempt. When it became increasingly clear that without a formal legal structure, the network could not adequately advance its goals of educating the public about bisexuality and supporting bi people, a decision was made to incorporate as a nonprofit organization. 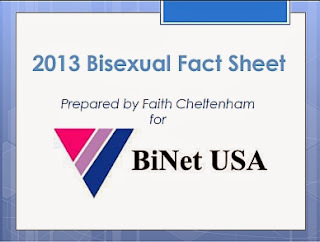 In its Florida Articles of Incorporation (file Feb. 14, 1994, and accepted the next day) and its filing for 501(c)(3) nonprofit status with the Internal Revenue Service (letter of determination dated July 24, 1995), the name was listed as: "BiNet/USA, the Bisexual Network of the USA". But the fact remains that the network had been functioning since at least 1987 (see Lani Ka'ahumanu's remembrance below) and that activists had agreed to formalize the network in 1990. And so it is that, regardless of what name it has gone by (or bi any other name, wink-wink to Lani and Loraine Hutchins' landmark book) or what date you wish to choose, it was in that classroom on that weekend at that conference that activists decided to move forward and recognize the network. And the rest is history. And now it is time to make more history, and continue the effort to educate, to make the world a safer, more accepting place for bi people, and to raise people's awareness of their own capacity to love and be loved beyond rigid binary borders. We invite you to be part of that effort: through volunteerism, financial support, activism, and, above all, visibility. P.S. : Are you in touch with Sharla, Liz, Stephanie, Lucy, Alan, Woody, Bobbi or others who were active back when BiNet began? Encourage them to post some remembrances and suggestions for the future as we begin our next 20 years -- with another visit to the White House, no less! Barry, Luigi, Alexei, Laura, others who have been involved in BiNet USA over the past 20 years, can you share us YOUR remembrances or thoughts? Thanks! It was the first National Bisexual Conference produced/hosted by BiPOL in 1990. Initially it was "International" but we soon realized that was too much. Another question would be [in addition to: Did you attend the first national bi conference]: Did you go to the 1987 March on Washington where BBWN's Lucy Friedlander and Liz Nania (I think) produced a flyer that asked "Are we ready for a national bisexual network?" and BiPOL SF agreed to have our contact information on the flyer and to handle the response -- which we did, and the response was overwhelmingly YES WE ARE --so Autumn Courtney and I of BiPOL SF were sitting in my kitchen and said let's have BiPOL host a 1990 national conference to begin organizing a national organization. Woo-hoo! Someone -- Lucy and Liz? 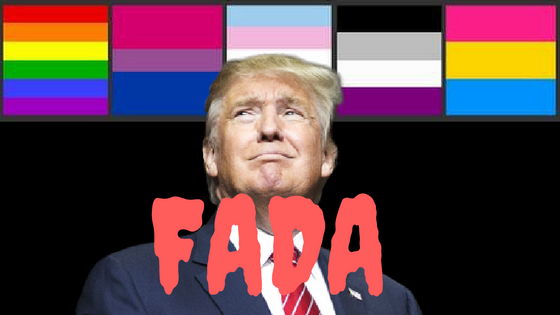 -- made a National Bisexual Network banner for the bisexual MOW contingent to march behind, and someone commented we have a banner and no network or something like that ... any BBWN folks have that bit of information? I have an article that appeared in "Equal Times News," the local lgbt Minneapolis/St. Paul newspaper re: the conference held in San Francisco in summer 1990 that four people from Minnesota attended. I also have an article announcing the conference in Minneapolis in 1992 (which I was privileged to be at). ... Wow: 20 years! Congrats to us. P.S. : One quick thought -- the beginnings of the national bi movement coincided with my becoming a mom and less able to travel- and this was pre-Internet. I lived in an area where I was *very* closeted. But thanks to many of the amazing friends I made at conferences etc., I always felt I was part of the community whether I was active or not. You who took care of me emotionally from far away know who you are -- THANK YOU. ... to all the bi fathers out there! "The View" recently managed to have a discussion that was biphobic, male biphobic, and homophobic, all rolled into one offensive package. but asks our help in both letting the producers of "The View" and Joe Scarborough know that bisexuals, and male bisexuals, actually exist. Links are provided at the bottom of the above to email them. Please be polite. You can also share it on FaceBook to encourage more people to email them. Even MORE to the White House! Robyn Ochs reports that Gunner Scott and Nancy Nangeroni, the chair and vice chair of the Massachusetts Transgender Political Coalition, will be at the White House reception Tuesday, and BOTH of them identify as bi as well as trans. Wonder who else is attending who many assume are gay/lesbian but actually consider themselves as bi! 3 to the White House! Bi activists Ellyn Ruthstrom (Boston), Faith Cheltenham (L.A.) and ABilly S Jones-Hennin (D.C.) have been OK'd to attend the lgbt pride gathering at the White House on Tuesday with President Obama! More details to come!